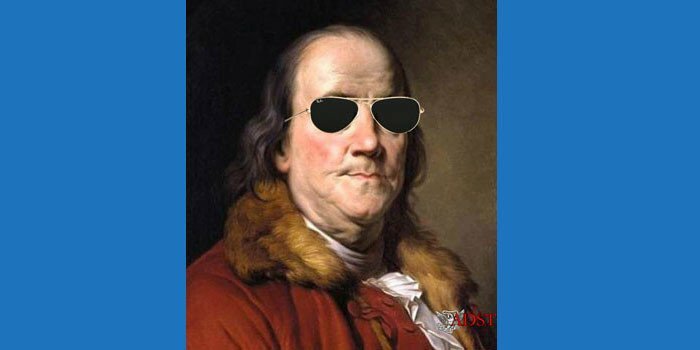 How to commemorate an important anniversary of the country in which you’re posted when it marks a low point in the bilateral relationship? 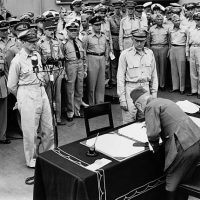 World War II came to an end when Imperial Japan announced its surrender on August 15, 1945; officials from its government signed the Japanese Instrument of Surrender on September 2 aboard the USS Missouri. It was the end of a series of losses for Japan, including the detonation of an atomic bomb over Hiroshima on August 6, the declaration of war on Japan by the Soviet Union on August 8, and the launch of a second bomb on Nagasaki by the U.S. on August 9. Fifty years later, American diplomats in Japan struggled with acknowledging the events of that fateful year in a way that would strengthen ties with an enemy-turned-ally yet not minimize the sacrifices of Americans who fought in the war. The debates surrounding remembrance of this anniversary were recalled by Aloysius M. O’Neill, Paul P. Blackburn, Rust Deming and Walter F. Mondale, each of whom served in Japan in 1995. Charles Stuart Kennedy interviewed O’Neill in August 2008 and Rust Deming in December 2004; Charles Beecham interviewed Paul Blackburn in November 2002. Mondale was interviewed by David Reuther in April 2004. Please follow the links to learn more about Japan, the East Asia and Pacific region or World War II. Nineteen ninety-five was, of course, heading into the 50th anniversary of the last year of World War II. 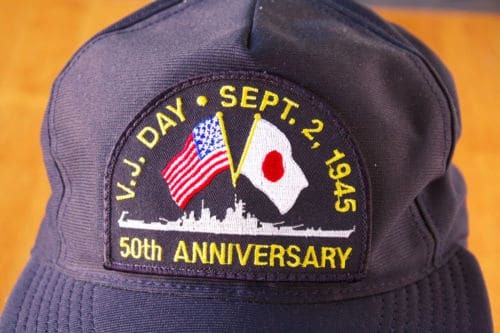 For Japan this meant the appalling battle on the little island of Iwo Jima in February and March of 1945 and then the April through June bloodbath on Okinawa, the 50th anniversary of the atomic bombings of Hiroshima and Nagasaki and the 50th anniversary on August 15 of the surrender. The intent of all parties — the Okinawans, the central government in Japan and the American military, of course, was to commemorate the 50th anniversary of this huge battle, the last U.S. ground battle against Japan. 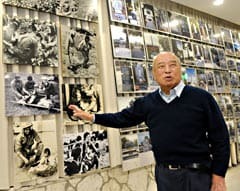 The issue of how it would be done caused a lot of nervousness among a lot of Okinawans because they were afraid we would be celebrating our victory, which was far from the intent in either of the U.S. forces or, indeed, the American veterans of the battle. So we had a lot of preparatory work both to plan the events and also to reassure the Okinawans about U.S. intentions about the commemorations which were going to be centered in June. The landing was on April 1, but the idea was to do the commemorations over several days marking the very end of the battle in late June 1945. As one example of the groundwork, I did an interview with NHK, the national TV network, a couple of months before the commemoration. My main point was that we were not going to celebrate a victory. First of all the American veterans’ purpose was just to return to Okinawa where they had been through a horrendous experience and to remember their comrades who had been killed. They were not trying to celebrate anything. The overall U.S. idea was to remember the dead from all sides and also to emphasize the 50 years of a very productive relationship between the U.S. and Japan. I think my NHK TV interview was helpful. I pointed out that NHK itself had done a program on the Battle of Okinawa a few months earlier. They reported that the American invasion force had brought with them food and clothing for about 100,000 Okinawans plus many thousands of civil affairs specialists. 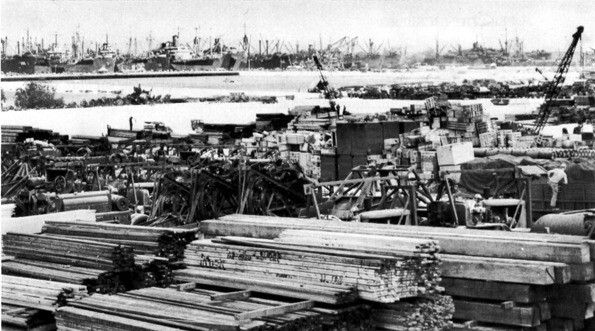 The U.S. knew that the Okinawan population had not bombed Pearl Harbor, but had been basically caught up as innocents in the militarist plans of the Japanese government. So I played that back to the NHK interviewer. He found that earlier program and blended it in with my interview when it was broadcast. The intended tenor of the commemorations was the point I was making to NHK and continued to make to the Okinawan news media including the newspapers. Fortunately, by the time Okinawan concerns were rising, we had had the commemorations on Iwo Jima in March. 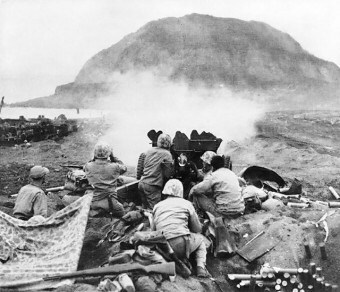 Even though Iwo Jima is in Tokyo’s consular district rather than Okinawa’s, the Marines on Okinawa planned and supported the commemorations on Iwo Jima. With the NHK interviewer, I was able to point to the commemorative nature of the 50th anniversary ceremonies on Iwo Jima as a practical example of our intentions concerning Okinawa, as I had seen that first hand. At that time, Generals Pace and Meyers and Ambassador Walter Mondale, the former vice president, and his wife Joan, came down to Okinawa the day before the flight to Iwo Jima. There was a big formal dinner at the main Marine Officers’ Club and we all flew to Iwo Jima on Meyers’s airplane. Iwo Jima is a tiny place. It’s about two miles by four miles, and at least 26,000 people were killed in six weeks, over 20,000 Japanese and 6,000 Americans. It’s still an active volcanic island, a very unpleasant place but a real shrine for the Marines. The Okinawa commemorations in June 1995 were quite an extraordinary series of events. The Prime Minister came, as well as the Speaker of the Diet’s lower house and the Chief Justice of the Supreme Court. There was quite a large turnout from the Japanese government, a lot of ceremonies marking the huge toll of Okinawans who died. There was the dedication of what was called the “Cornerstone of Peace” (seen left), an elaborate monument or set of monuments at the very southern tip of Okinawa, where the battle ended when there was no more room to fight. These were a series of low granite walls, like Oriental screens, in which were carved the names of all 240,000 people, Okinawan, mainland Japanese, American, Taiwanese, Korean, and British, who had died in battle. It was quite an effort by the Okinawans to collect all these names. It is probably the most complete list of the battle dead that anybody could come up with. I was glad to be there during that time. As a baby boomer I had always grown up in the shadow of WWII. We spent a lot of time thinking about how best to posture ourselves for 50-year anniversaries of such 1945 events as the firebombing of Tokyo, the Battle of Iwo Jima, the Battle of Okinawa, the atomic bombing of Hiroshima and Nagasaki, and the formal end of the war. I was particularly concerned that we help the “main island Japanese” better understand what really happened during the Battle of Okinawa and how the horrific fighting there figured so centrally in the American decision to drop the atomic bombs. The Governor of Okinawa at that time, Governor Ota (seen right), was considered by many in the Embassy to be very anti-American. He had received a Ph.D. in the United States, had written a history of the Battle of Okinawa, and was very opposed to our military bases. Having been on Okinawa in the 1950s, when memories of the devastating battle were still raw for the Okinawans, I recommended that we pay respectful attention to Governor Ota during whatever commemoration the Okinawans thought appropriate for marking the awful tragedy. Following the advice of many of the old Japan hands, Ambassador Mondale and the top U.S. military brass did just that, I am happy to say. 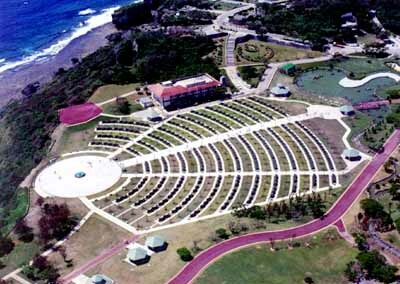 The Okinawans put on a very moving ceremony, and inaugurated a unique peace park that lists the names of all those killed in the battle: Japanese, Okinawans, Americans, Koreans, and Chinese. To help get us past the August 1995 Hiroshima anniversary, I encouraged Ambassador Mondale to visit that city in 1993 or 1994 and give a speech to the Chamber of Commerce, as previous Ambassadors had done. Though the speech would primarily deal with commercial matters, we could expect that in the Q&A period he would get a question on the A-bombing. I hoped he would have a chance to say something to the effect that though most Americans had supported that action as a way to bring the war to a decisive conclusion, we who are alive a half century later must look to the future and do everything possible to ensure that nuclear weapons are not used again in the coming fifty years. The idea was to get an on-the-record statement that we could refer back to when asked for comments during the actual anniversary period. In the event, the Ambassador never did get to Hiroshima during those years. At one point, I also favored recommending to the White House that President Clinton include a brief stop in Hiroshima during his 1993 visit to Japan. Despite my argument that such a visit would be a statesmanlike gesture and perhaps help defuse anti-American sentiment when the actual anniversary came along, others in the Embassy adamantly insisted it would be much too risky, so the idea never went forward. Despite my failed efforts to forestall public affairs problems, the Hiroshima and Nagasaki anniversaries came and went without a great deal of the agonizing I had anticipated. I also got into the middle of the Air and Space Museum’s ambitious plan for an exhibition around the plane that dropped the bomb on Hiroshima, the Enola Gay, which ultimately produced a big controversy and much embarrassment for the Smithsonian. The museum proposed to display part of the aircraft and supplement it with a four-part exhibit highlighting the evolution of the war up to mid-1945; the testing and preparations for using the bomb; the actual delivery details of getting it from Tinian Island to its target; and the on-the-ground devastation. This multi-sided concept represented a major departure from the usual celebratory exhibitions at the museum. When the curator and others came to the Embassy, I was the point person to talk with them. I told them that as far as the Embassy was concerned, the Air and Space Museum could make its own decisions, but that I personally applauded the idea of educating the American people about this important part of our history. I also suggested culturally-sensitive ways for them to approach the Japanese and elicit cooperation while maintaining control of the content in the most problematical fourth segment of the exhibit. The Japanese involvement was essentially worked out to everyone’s satisfaction, but the curators faced insurmountable “cultural” problems in dealing with the U.S. Air Force veterans! They unleashed a storm of criticism against the entire concept. The veterans didn’t want anything in the exhibition about devastation and suffering on the ground – or about the evolution of the war, either. 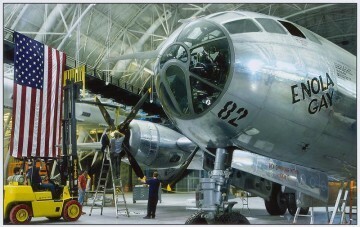 Essentially, they wanted the exhibition confined to technical aspects of its second and third themes: the development and delivery of the bomb by the Enola Gay. The whole scheme fell apart and became a first-class fiasco, one that cost the director his job. The museum finally mounted a very modest display (seen above), but without most of the contextual material originally planned. Our concerns never seemed to have a moment’s rest. DEMING: This reminds me of one thing Ambassador Mondale did that I thought was very courageous. April of 1995 was the 50th anniversary of the firebombing of Tokyo. That was a raid on Tokyo by B-29s coming out of Saipan led by General Curtis LeMay, one of the architects of strategic bombing. 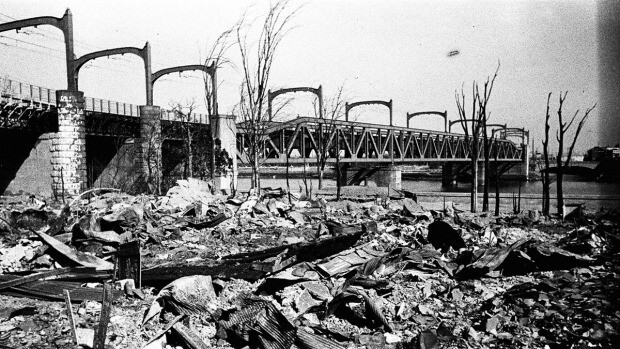 They used incendiary bombs on a windy night, and it killed more than 100,000 Japanese in Tokyo. It was a firestorm. People died in the river, and the river boiled. It was one of the really horrible events of World War II. It killed more people than the bombing of Hiroshima did. In 1995, the City of Tokyo organized a commemoration at a public hall in Tokyo, and the city sent the Ambassador an invitation. I, as DCM, and the Political Section were extremely cautious about whether the Ambassador should go to this. We were concerned that the Ambassador’s attendance could be interpreted in the U.S. as some kind of apology and invite a backlash from American veterans. He went to the commemoration, and this gesture got a tremendously positive response in Japan. We did get some protest mail from former POWs and their families in the U.S., from those who said that their father or grandfather was a B-29 crew member and was held prisoner and so on. Ambassador Mondale did the right thing, and I really admired his political and human instincts that rejected our cautious bureaucratic advice. When the Japanese had the 1995 annual memorial service for those killed in the fire bombings of Tokyo that terrible night, I went to it. I wasn’t taking sides in the war, but I let them know that Americans were sorry about what happened to innocent people, and I know it made a difference. I got a lot of bad mail from over here, but it was something that made us human, it showed that we cared, and I just did it. I wanted them to know that we were sorry that innocent people were killed. I think I got away with it.